Here is Peacock Feather stretched on a frame, measuring 38x60cm. Sally Aldens original photo is to the right. 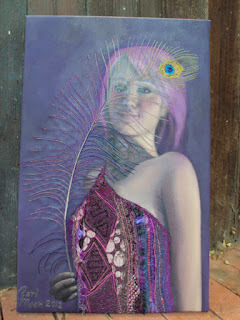 There is a little too much light reflecting on the face in this photograph, unfortunately. 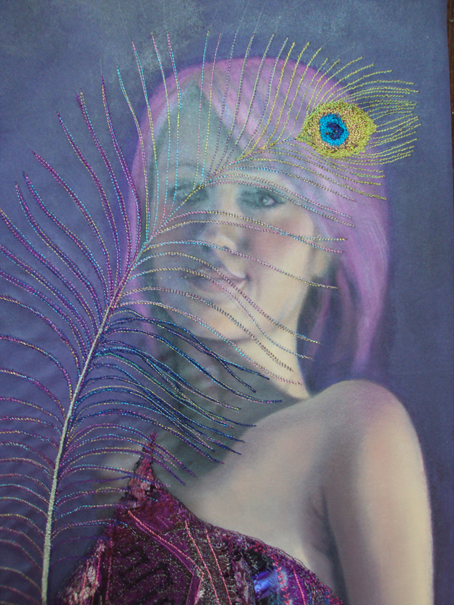 It was really, really nerve wracking embroidering over the finished painted face to do the peacock feather detailing. Absolutely no margin for error! The stitching has been accented with a metallic iridescent embroidery thread but it isn't possible to see that in the photo. 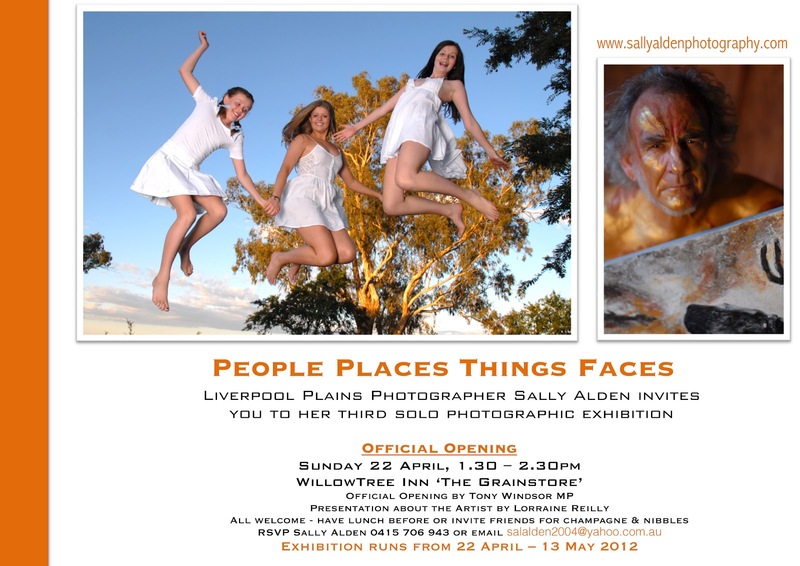 Below is some information about Sally Aldens photographic exhibition which is at the Willow Tree Inn, opening on Sunday 22nd. Rodney and I will be there for the opening at 1.30pm in the afternoon. Look at that wonderful picture of my gorgeous husband featured on Sallys promotional flyer! There will be some other photos of Rodney that Sally took in this series on display...eat your heart out Brad Pitt!! !